As I am diving deeper and deeper into the world of cryptocurrencies, I am exploring quite some interesting products. 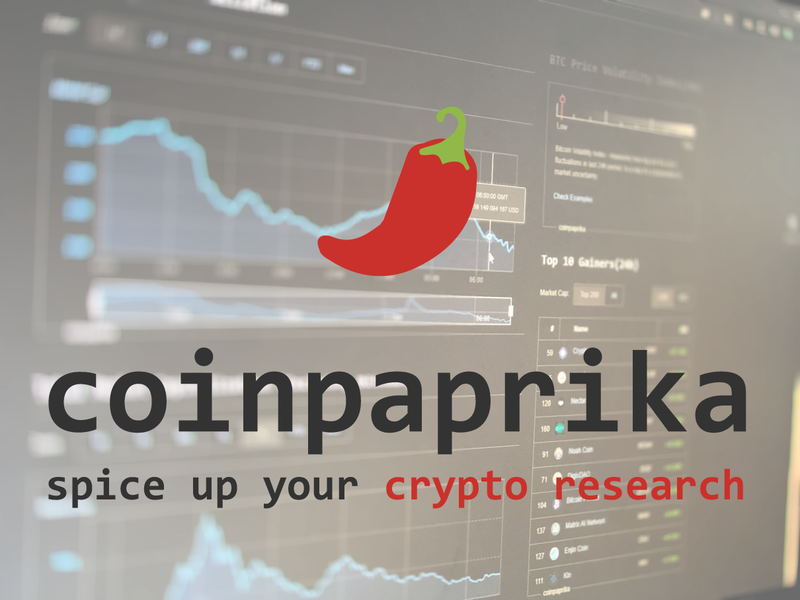 One of them is Coinpaprika, a market research site with some extensive information on every coin they have listed. A lot of services that provide aggregated data rely on data of the big players like CoinMarketCap. Coinpaprika, however, has a different strategy. They are pulling their data from a whopping number of 176 exchanges into their own databases, without any proxy. They have their own valuation system and a very fast refreshing rate (16 000 price updates per minute). If you have some time and want to compare how prices match up with their competition, Coinpaprika even implemented a metrics page for you. In my personal experience, their data is more reliable average to those values I see on those exchanges I deal with (Binance, Coinbase, BitPanda, Changelly, Shapeshift). A few days later, I was able to discuss the publication of the C# API client implementation I wrote with them. I am happy to announce that you can now download the C# API Client from Nuget or fork it from my Github repository. They will also link to it from their official API repository soon. The readme-file on Github serves as documentation as well and shows how to easily integrate their data into your .NET apps. The library itself is written in .NET Standard 2.0. If there is the need to target lower versions, feel free to open a pull request on Github. The Github repo contains also a console tester application. If you need reliable market data and information on the different projects behind all those cryptocurrencies, you should evaluate Coinpaprika. They aggregate their data without any third party involved and provide an easy to use and blazing fast API. I hope my contribution in form of the C# API client will be helpful for some of you out there. Disclaimer: I am contributing to this project with code written by me under the MIT License. Future contributions may contain their own (and different) disclaimer. I am not getting paid for my contributions to the project. Please note that none of my crypto related posts is an investment or financial advice. As crypto currencies are volatile and risky, you should only invest as much as you can afford to lose. Always do your own research!